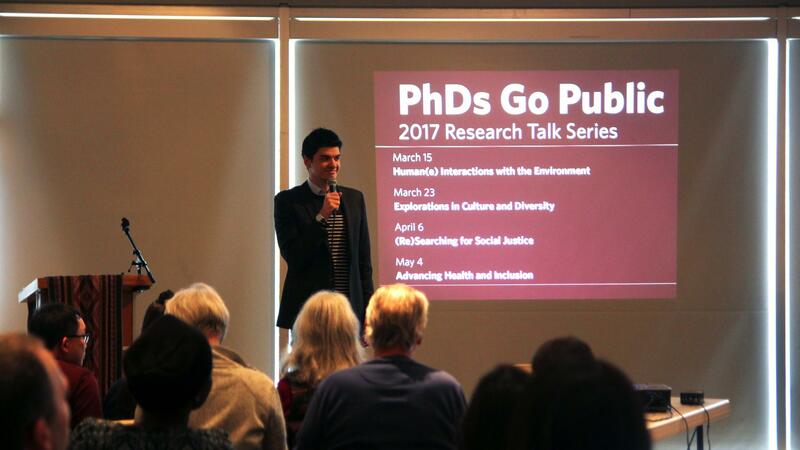 Initiated by Graduate & Postdoctoral Studies in 2016 academic year, the PhDs Go Public events spotlight PhD students from UBC's Public Scholars Initiative, who use the Pecha Kucha format to present on how their research is contributing to the public good, and making a change in the world. This year's themes include education, indigeneity, health, social justice, and environment. Mark your calendars, and stay tuned for updates!